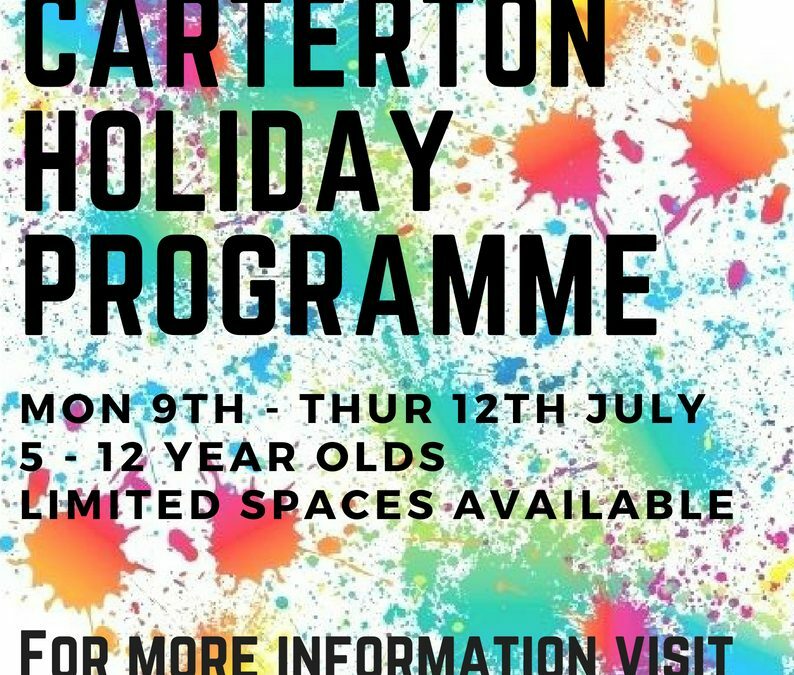 Registrations are now open for the Carterton Holiday Programme 9th – 12th July. Registrations can be made by contacting the Carterton Information Centre: email infocentre@cdc.govt.nz / phone 06 379 4081. Please be aware that places are limited and preference will be given to children that have not attended a programme before.